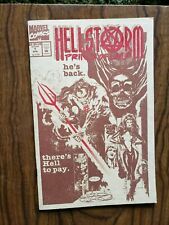 Hellstorm #1 1993 Marvel! Parchment cover! Michael Bair Unread!! 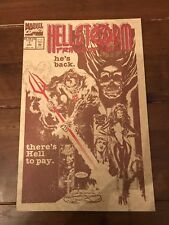 HELLSTORM PRINCE OF LIES #1 DAIMON HELLSTORM MARVEL 1993 NICE!! HELLSTORM PRINCE OF LIES MARVEL COMIC VOL. 1 NO. 1 APRIL 1993. HELLSTORM PRINCE OF LIES #1 (1993) CGC 9.8 - Beautiful Wraparound Cover!! Hellstorm Prince of Lies Vol 1 #3 Marvel Comics Buy More and Save! This page was last updated: 22-Apr 11:40. Number of bids and bid amounts may be slightly out of date. See each listing for international shipping options and costs.